Work injuries are never planned, never expected but in a moment you’re fine, and in the next, you’re wriggling in pains. Although minor injuries can be taken care of, serious work injuries that involve brain or head injury, damaged limbs and broken spinal cords, to say a few, deserves to be taken seriously from the part of the victim. That is when you need to let a lawyer who is experienced in the practice to help you handle the legal aspect of the case to ensure you get your deserved benefits for lost wages and medical bills. In Fontana, CA, an experienced work injury lawyer can be hired at Rawa Law Group. Rawa Law Group champions the whole of California in possession of some of the most aggressive injury lawyers with loads of experience. Our attorneys are well trained, with more than 55 years of combined legal experience on the job. Several thousands of injured workers have received fair benefits amounting to several hundreds of millions and were helped by our attorneys. We understand the importance of full legal representation to injured workers and the scope of the law of every city and that is what we adhere to in every case. We give you legal advice to help you understand the nature of your case. We also make you aware of everything that happens in your case as we work with you. Our free case evaluation is also a huge plus. We would pick up your case and work tirelessly without charging you. We only do so after winning your case. Keeping appointments with us is quite easy as we are keen to know how your schedule is and fix the hours accordingly. We might make changes if necessary. We also make our lawyers available in case they may need to pay you a home or hospital visit. 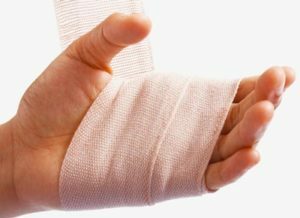 If you want to get the fair benefit for your troubles, hire an experienced work injury attorney in Fontana, CA at Rawa Law Group.